Recent Arrival! 2016 Porsche Cayenne Base CARFAX One-Owner. Clean CARFAX. *Bluetooth, Hands-Free*, *GPS Navigation w/ Backup Camera*, *Panoramic Moonroof*, *Leather Seats*, *Non Smoker*, *Heated Front Seats*, *Premium Wheels*, Black/Stone Grey Full Leather Interior, Front Seat Heating, Panoramic Roof System. Odometer is 3188 miles below market average! 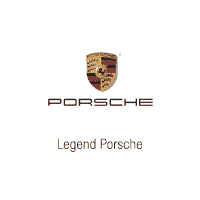 Awards: * 2016 KBB.com 10 Best Luxury SUVs * 2016 KBB.com Brand Image Awards Porsche Approved Certified Pre-Owned Details: * Transferable Warranty (between private parties) * 111 Point Inspection * Warranty Deductible: $0 * 2 year/Unlimited miles beginning after new car warranty expires or from certified purchase date. Includes Trip Interruption reimbursement * Roadside Assistance Legend Audi / VW / Porsche promises nothing but the highest quality used cars in Amityville for drivers from Farmingdale, Massapequa and Long Island Bellmore. We take the time to go over each model in our inventory inch by inch, ensuring each used car that leaves our lot runs like new for a very long time to come. Our pre-owned vehicles are hand picked by our pre-owned manager, only selling premium, pristine, trouble free cars giving you the confidence you need when buying at Legend. Frank is in Monday through Sat 9-6 to serve all your needs. Call now office 516 798 8100 cell 631 482 0572. New Price! 2016 Porsche Macan S CARFAX One-Owner. Clean CARFAX. *Porsche Certified*, *Bluetooth, Hands-Free*, *USB / AUX Inputs to play music*, *Backup Camera*, *Panoramic Moonroof*, *Non Smoker*, *Heated Front Seats*, 14-Way Adj Seats w/Comfort/Memory Pkg, Auto-Dimming Inside Rear-View Mirror, Auto-Dimming Outside Rear-View Mirrors, Bi-Xenon Headlights w/PDLS, Front Seat Ventilation, Heated Front & Rear Seats, Heated Steering Wheel, Memory Package, Panoramic Roof System, Porsche Entry & Drive, Premium Package Plus, Rear-View Camera w/Front & Rear ParkAssist. Awards: * 2016 KBB.com Best Resale Value Awards * 2016 KBB.com 10 Most Fun SUVs * 2016 KBB.com Brand Image Awards Legend Audi / VW / Porsche promises nothing but the highest quality used cars in Amityville for drivers from Farmingdale, Massapequa and Long Island Bellmore. We take the time to go over each model in our inventory inch by inch, ensuring each used car that leaves our lot runs like new for a very long time to come. Our pre-owned vehicles are hand picked by our pre-owned manager, only selling premium, pristine, trouble free cars giving you the confidence you need when buying at Legend. Frank is in Monday through Sat 9-6 to serve all your needs. Call now office 516 798 8100 cell 631 482 0572. 2017 Porsche Macan S CARFAX One-Owner. Clean CARFAX. Odometer is 18794 miles below market average! Awards: * JD Power Initial Quality Study (IQS) * 2017 KBB.com 10 Most Fun SUVs * 2017 KBB.com Best Resale Value Awards * 2017 KBB.com Brand Image Awards * 2017 KBB.com 10 Most Awarded Brands Legend Audi / VW / Porsche promises nothing but the highest quality used cars in Amityville for drivers from Farmingdale, Massapequa and Long Island Bellmore. We take the time to go over each model in our inventory inch by inch, ensuring each used car that leaves our lot runs like new for a very long time to come. Our pre-owned vehicles are hand picked by our pre-owned manager, only selling premium, pristine, trouble free cars giving you the confidence you need when buying at Legend. Frank is in Monday through Sat 9-6 to serve all your needs. Call now office 516 798 8100 cell 631 482 0572. New Price! 2017 Porsche 718 Boxster S Clean CARFAX. *Bluetooth, Hands-Free*, *USB / AUX Inputs to play music*, *Heated Front Seats*, 14-Way Power Sport Seats, 20" Carrera S Wheels, BOSE Surround Sound System, Convertible roof wind blocker, Four wheel independent suspension, Glass rear window, Heated door mirrors, Lane Change Assist, Memory Package, Navigation Module for Porsche Communication Module, Navigation System, Porsche Communication Management, Power convertible roof, Power door mirrors, Seat Ventilation, Spoiler, Variably intermittent wipers. Awards: * ALG Residual Value Awards * 2017 KBB.com Brand Image Awards * 2017 KBB.com 10 Most Awarded Brands * 2017 KBB.com Best Resale Value Awards Legend Audi / VW / Porsche promises nothing but the highest quality used cars in Amityville for drivers from Farmingdale, Massapequa and Long Island Bellmore. We take the time to go over each model in our inventory inch by inch, ensuring each used car that leaves our lot runs like new for a very long time to come. Our pre-owned vehicles are hand picked by our pre-owned manager, only selling premium, pristine, trouble free cars giving you the confidence you need when buying at Legend. Frank is in Monday through Sat 9-6 to serve all your needs. Call now office 516 798 8100 cell 631 482 0572. 2017 Porsche Cayenne S Clean CARFAX. *Panoramic Moonroof*, Black Leather, 14-Way Power Seats w/Memory Package, Aluminum Roof Rails, Automatically Dimming Exterior & Interior Mirrors, Bi-Xenon Headlights w/Porsche Dynamic Light System, BOSE Surround Sound System, Comfort Lighting Package w/Memory Package, Front Seat Heating, Front Seat Ventilation, Lane Change Assist (LCA), Panoramic Roof System, Premium Package, Reversing Camera Including Front & Rear ParkAssist, Steering Wheel Heating, Wheels: 9J x 20" RS Spyder Design. Awards: * 2017 KBB.com 10 Best Luxury SUVs * 2017 KBB.com 10 Most Awarded Brands * 2017 KBB.com Best Resale Value Awards * 2017 KBB.com Brand Image Awards Legend Audi / VW / Porsche promises nothing but the highest quality used cars in Amityville for drivers from Farmingdale, Massapequa and Long Island Bellmore. We take the time to go over each model in our inventory inch by inch, ensuring each used car that leaves our lot runs like new for a very long time to come. Our pre-owned vehicles are hand picked by our pre-owned manager, only selling premium, pristine, trouble free cars giving you the confidence you need when buying at Legend. Frank is in Monday through Sat 9-6 to serve all your needs. Call now office 516 798 8100 cell 631 482 0572. 2017 Porsche Cayenne S Clean CARFAX. Black Leather. Awards: * 2017 KBB.com 10 Best Luxury SUVs * 2017 KBB.com 10 Most Awarded Brands * 2017 KBB.com Best Resale Value Awards * 2017 KBB.com Brand Image Awards Legend Audi / VW / Porsche promises nothing but the highest quality used cars in Amityville for drivers from Farmingdale, Massapequa and Long Island Bellmore. We take the time to go over each model in our inventory inch by inch, ensuring each used car that leaves our lot runs like new for a very long time to come. Our pre-owned vehicles are hand picked by our pre-owned manager, only selling premium, pristine, trouble free cars giving you the confidence you need when buying at Legend. Frank is in Monday through Sat 9-6 to serve all your needs. Call now office 516 798 8100 cell 631 482 0572. New Price! 2017 Porsche 911 Carrera Cabriolet Clean CARFAX. *Bluetooth, Hands-Free*, *USB / AUX Inputs to play music*, *Heated Front Seats*, 20" RS Spyder Design Wheels, Adaptive suspension, Auto-Dimming Mirrors, Brake assist, Electronic Stability Control, Exterior Parking Camera Rear, Four wheel independent suspension, Front Seat Heating, Lane Change Assist, LED Headlights w/Porsche Dynamic Light System Plus, Porsche Dynamic Light System (PDLS), Power Folding Exterior Mirrors, Premium Package w/Power Sport Seats, Speed-sensing steering, Traction control. Odometer is 10007 miles below market average! Awards: * 2017 KBB.com 10 Most Awarded Brands * 2017 KBB.com Best Resale Value Awards * 2017 KBB.com Brand Image Awards 22/28 City/Highway MPG Legend Audi / VW / Porsche promises nothing but the highest quality used cars in Amityville for drivers from Farmingdale, Massapequa and Long Island Bellmore. We take the time to go over each model in our inventory inch by inch, ensuring each used car that leaves our lot runs like new for a very long time to come. Our pre-owned vehicles are hand picked by our pre-owned manager, only selling premium, pristine, trouble free cars giving you the confidence you need when buying at Legend. Frank is in Monday through Sat 9-6 to serve all your needs. Call now office 516 798 8100 cell 631 482 0572.